Study automobile liability insurance to determine alternatives to Texas' current mandatory liability system. The Committee should examine problems with the existing system, including problems arising from the large number of uninsured/underinsured motorists, fraud related to securing proof of financial responsibility, difficulties in enforcing the current system, and the expense and delay in resolving claims. In its work, the committee should examine various "no-fault" plans. The Committee may make recommendations for legislative or regulatory action. 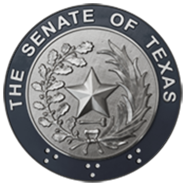 Evaluate the impact of tort reform legislation enacted since 1993, including its impact on insurance rates in Texas. To avoid duplication of resources, the Committee should coordinate its work with the Senate Interim Committee on Economic Development. Assess whether additional changes should be made to the civil justice system. Among other issues the Committee may identify, the Committee may review laws concerning class action lawsuits, third party liability, premises liability, collection of judgement, and filing of amicus curiae briefs. In its work, the Committee should evaluate potential effects of insurance rates.